This study uses an Ecosystem Services approach to generate information for land use planning within the context of climate change adaption. This approach uses science-based indicators that classify ecosystems and their function and potential services in order to evaluate the influence of social, economic, and environmental service flows on human well-being, with the ultimate goal of guiding land-use planning. Reducing the impacts of urbanization and climate change has been a primary target of ecosystem services research, but research activity of this type in the tropics has been limited. The i-Tree is a public domain model provided by the USDA Forest Service and is used to aid planners and managers in the valuation and management of urban forests by quantifying the ecosystem services they provide. Although the i-Tree tool has been widely in many U.S. cities and internationally, its use in the Caribbean has been very limited as well. The proposed project will assist in gathering scientific information that can be readily used to set ecosystem function and services management goals and evaluate climate change scenarios that are appropriate for tropical ecosystem context, thus expanding the i-Tree model. Additionally, this project will establish an innovative collaborative platform that integrates multiple scientific disciplines with outreach and education towards greater understanding of urban infrastructure and sustainability. As many small island nations, the Dominican Republic is vulnerable to climate-related impacts, including sea level rise, flooding, heat, prolonged droughts, and disruptions in water supply. State and local agencies in the DR are addressing these potential impacts and are working towards developing adaptation strategies in collaboration with U.S. based agencies, including USAID and the USDA Forest Service. Urban areas, such as Santo Domingo, are of particular concern because of greater number of people living in particularly poor, marginalized communities located in high-risk areas. The extensive and aging infrastructure throughout the city and the lack of forest vegetation creates added risks such as urban flooding and water quality issues that will exacerbate climate-related impacts and biodiversity impoverishment. The Instituto Tecnológico de Santo Domingo (INTEC), in partnership with Municipality of Santo Domingo, USAID, Universidad de Puerto Rico, and USDA Forest Service is taking steps to develop adaptation strategies, such as the use of green infrastructure at the watershed level to minimize flood risks throughout the city. The i-Tree tool, which is a widely used application in cities worldwide, is used to asses and manage community forests and their faunal communities, and link urban forest management to environmental quality and community livability in the Santo Domingo area. 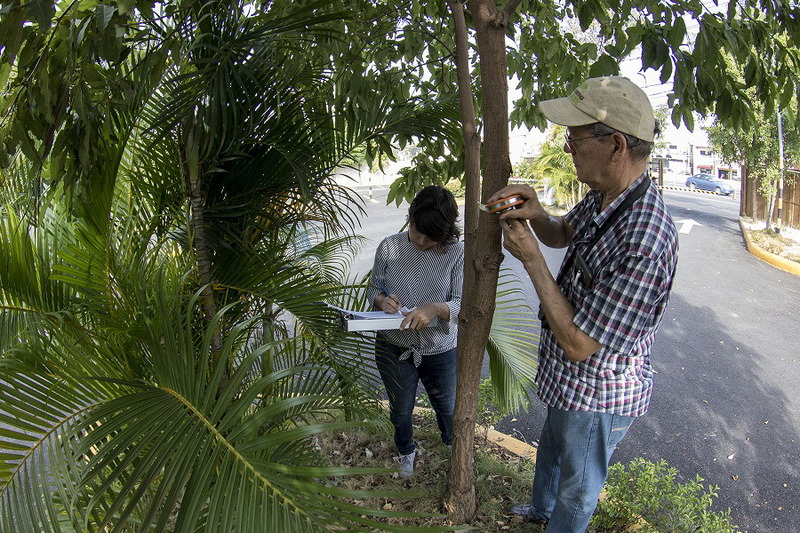 Dr. Bonilla and her team will work closely with i-Tree Forest Service scientists to apply the tool to understand the quality and distribution of urban green infrastructure and its capacity to provide ecosystem-based adaptation services in the Santo Domingo area. Build local capacity in the evaluation of urban forests through workshops and hands-on training with local managers, decision-makers, and broader stakeholders on i-Tree. Academic scientific articulation between research centers in the United States and Puerto Rico and Dominican universities. Synergies between the academic sector, civil society, municipality and public sector to address solutions to urban planning through scientific knowledge. The i-Tree EcoRD Seminar was held on October 31, 2018 at INTEC with participants from governmental organizations, NGOs, citizen groups, students, and private sector company representatives. Dr. David Nowack of USFS, creator of i-Tree tool will be attending as well. The event was streamed via ZOOM at URL: https://intec-do.zoom.us/j/111655362. Please see AGENDA for details. (1) Universidad Central del Este: with the School of Architecture of this university, an important collaboration was established to organize a training day, perform measurements on the campus with the i- Tree tool and participate in a scientific and dissemination event. (2) National University Pedro Henríquez Ureña (UNPHU): with this entity it was possible to establish collaboration with the School of Urbanism and the environmental management of the university. (3) A training session was organized with the i-Tree tool and an information survey was carried out with the tool on the campus of the university. Work is being done on the guidelines of an agreement so that the botanical specialists of the urban planning school, review the species survey that is being carried out with the project and collaborate with the classification of the same. (4) With the Autonomous University of Santo Domingo, a close collaboration was achieved with the School of Geography, within their laboratory, the training with the i-Tree tool was given and measurements were made with the same of the campus of the aforementioned university. 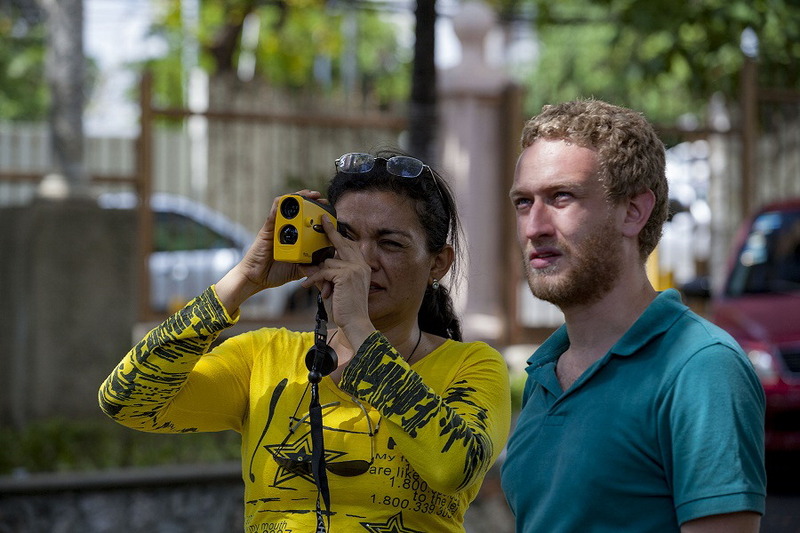 (5) An important collaboration was also established with the Pontificia Universidad Católica Madre y Maestra, with the school of Environmental Management, a training course was organized with the i-Tree tool and the measurements on the campus of the aforementioned university. The theoretical part was carried out in the INTEC laboratories and the field phase in the PCMM. (6) With the Department of Urban Planning of the City Council of the National District, the public use areas of the city have been prioritized, in which the measurements in public arborized zones of the city of Santo Domingo are prioritized. (7) With the Ministry of Higher Education, Science and Technology (MESCyT), a collaboration has been established for the Project and the PEER financing window to be presented in the Forums organized by that ministry to show funding opportunities for researchers from the Dominican Republic. (9) Alliance in process with the National District Council to use the i-Tree tool. 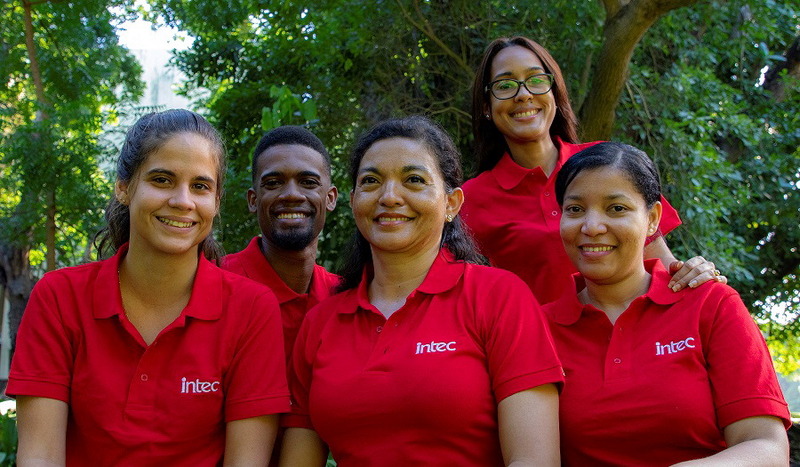 (10) Strengthen work with the Environmental Network of Dominican Universities for training and use of the i-Tree tool in 4 universities in the city of Santo Domingo. (11) Presentation of the i-Tree tool to NGOs of the city of Santo Domingo. (12) Preparation of sampling plan based for the Air Quality monitoring for Santo Domingo city and the research draft of one of the scholarship holder of PEER Program. The project has created expectations on the Ministry of Environment since it is an opportunity to create a (base) platform to seek funding sources and partnerships (INTEC, Specialized Labs) to acquire air quality measurement equipment and laboratories that work alongside, which goes with the process of defining actions and synergies that add elements for decision making.